It was this poem that inspired Vaughan Williams to write one of his best loved and most enduring works. The lark is depicted by the solo violin. The piece opens with a beautiful cadenza, played very quietly and delicately, that describes the hovering flight of the bird climbing higher and higher. The music avoids any tonal centre, and is written without bars giving the soloist an almost improvisatory freedom to describe the ethereal minstrel. The cadenza returns in the middle and at the end of the work, and the two intervening episodes draw on English folk music idioms. The solo violin combines with the orchestra to become the woods and brooks, the meadows green and the dance of children, blending into an intensely beautiful and idyllic tableaux of English life. The composition was begun in 1914, but was put aside during the first world war. It was completed in 1920 and first performed by its dedicatee Marie Hall on the 14th June 1921, with the orchestra conducted by Adrian Boult. In many ways the work was an escape from the the hard realities of a changing way of life. A critic wrote of the first performance, "It showed supreme disregard for the ways of today or yesterday. It dreamed itself along". 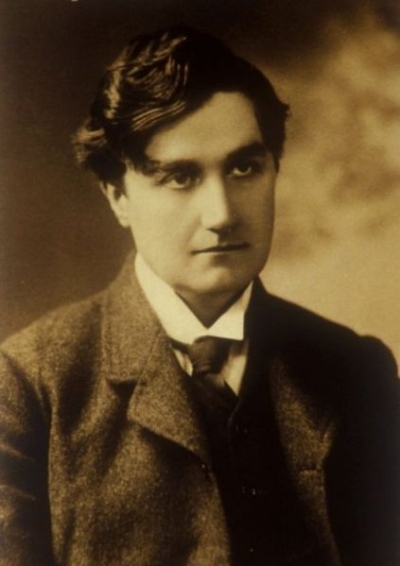 In his dreaming Vaughan Williams creates a picture of a perfect world as he saw it. The Lark Ascending was performed by the Portobello orchestra on the 14th March 2009 and on the 3rd September 2011, conducted by Anthony Weeden. The soloist was Mihkel Kerem.